How many ‘small’ interruptions do you have in a day? Ten minutes on the phone with a talkative vendor here, five minutes attempting to print something on your unreliable printer there, and another twenty minutes re-explaining a task that—let’s be honest—could’ve been outlined better the first time. It’s easy to do a task that “will just take a few minutes” or respond to the email that just came in, but learning to effectively manage your time means saying ‘no’ more often. The first step to better time management—and increasing productivity—is to know how you’re actually spending your time. 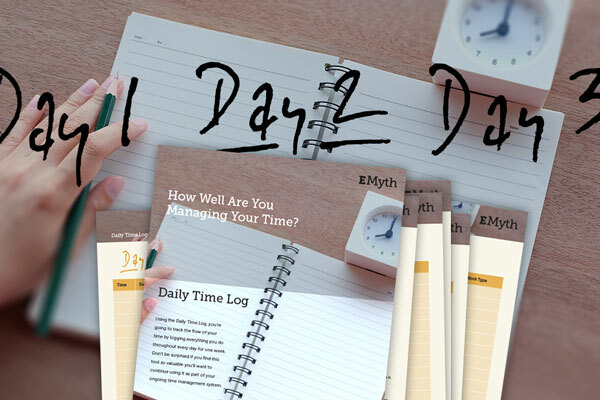 By using this Daily Time Log every day for a week, you’ll learn how your time is being spent on a regular basis—so you can start identifying places where you need to say ‘No’.